As a Chevron 1st Source Elite Lubrication Marketer, Ocean State Oil is New England's leading source for quality lubricants for automotive, transportation and industrial use. Whatever your lubrication needs, OSO can provide the right lubricants, supplies and equipment to reduce operating costs, minimize downtime and extend the life of your equipment. 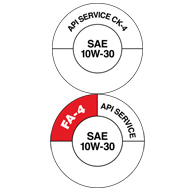 The new API CK-4 and FA-4 oils offer increased protection for existing engines and optimized fuel economy for 2017 engines. Discover the differences and find out how they'll impact your fleet! 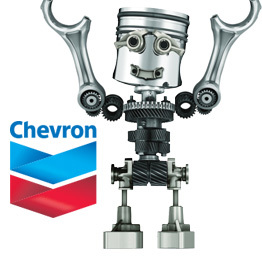 Reliability Based Lubrication™ from Chevron can optimize drain intervals, increase performance, minimize downtime & maximize profitability. Get your free RbL™ analysis and save! Ocean State Oil offers commercial fuel delivery for car and truck fleets, construction equipment, industrial uses and more throughout RI and MA. 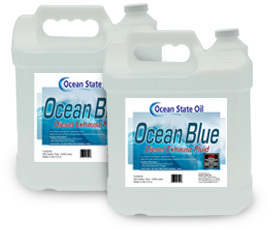 Ocean Blue is OSO's own brand of Diesel Exhaust Fluid, available both packaged and in bulk quantities for delivery throughout Southern New England. A great time was had by the Ocean State Oil team and our guests at Seekonk Speedway on September 22nd. Chevron Delo Truck vs Tug. Who will win?